It has been over a five-year hiatus since the World Poker Tour has been to Niagara Falls, Ontario. But the WPT is back in town! Tomorrow, the Fallsview Poker Classic will make its return as a stop on the WPT schedule. 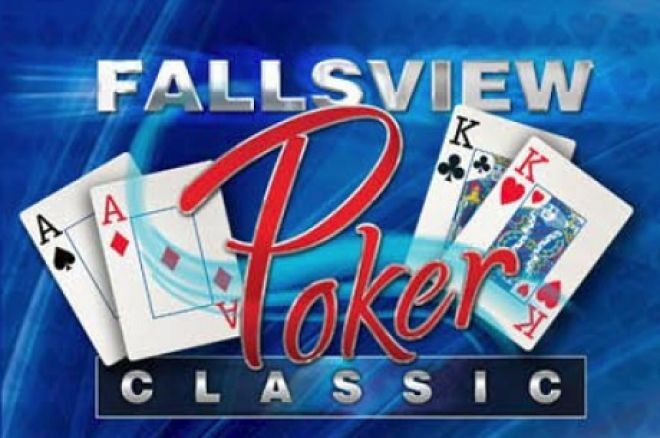 There will be three events during the Fallsview Poker Classic, which takes place between February 18th and February 24th. The series kicks off with a $1,100 buy-in on February 18th with one starting day, culminating with the final table on February 20th. To the delight of the staff at Fallsview Casino, this tournament is already sold out with 600 players shelling out the buy-in. 50 alternate cards were provided, but they too have found their way into the hands of willing participants. Event 2 at WPT Fallsview is the $2,500 event which will be played February 20th to February 22nd. Again, Fallsview Casino is only offering one starting day for the event. Though this event is not sold out yet, it is likely that it will sell out on Day 1. The Main Event features a $5,000 buy-in and gets underway on February 22nd with only one Day 1. The tournament is scheduled to last three days with the final table set for Monday, February 24th. This is the first time the WPT at Fallsview will feature a $5,000 Main Event, as the three previous iterations all had a $10,000 Main Event. In the past, the WPT Fallsview Poker Classic has played host to many of the biggest names in poker and they have posted strong results, but the series has also seen recreational players come out with some big paydays along with the trophy. In 2008, the WPT North American Poker Classic was a $10,000 Main Event and saw WPT Season Four Player of the Year (POTY) Gavin Smith lose an all-Canadian heads-up battle to amateur Glen Witmer who earned over $1,250,000. Smith took home over $600,000 for his troubles. 2007 saw the WPT enjoy its second stop in Niagara Falls during the halfway point of WPT Season Six. The stars came out to shine as three of the top four spots were all taken by well known pros. Barry Greenstein finished in fourth place for just over $300,000, while amateur poker player David Cloutier from Brampton, Ontario took home third place for just over $370,000. Jonathan Little made a statement in 2007 by taking home second place in the tournament for $714,000 and ended up earning the WPT Season Six POTY award by finishing the WPT season with four cashes, including one win. Poker pro Scott Clements took home the win for his only Main Event cash in Season Six for over $1,350,000. 2006 was the first time the WPT came to Canada, and Canada did not disappoint. Amateur poker player Soren Turkewitsch from Newton, Ontario outlasted Sudbury, Ontario native Jason Sagle taking home over $1,300,000 and the first WPT Main Event winner on Canadian soil. Sagle took the consolation prize of over $650,000 with his second cash of the WPT Niagara series. There has been a buzz around the Toronto area that a lot of big name pros will be making their presence felt during the week-long series. It is rumoured that Vanessa Selbst will be in attendance. Canadian pro Mike McDonald has also confirmed via Twitter that he will be playing the Main Event. McDonald is off to a scorching-hot start in 2014, flying out of the starting gates with three consecutive seven-figure scores and has to be one of the favourites heading into the Main Event. Will McDonald or Selbst, regarded by their peers and the community as two of the best tournament players in the world right now, continue their dominant starts to the 2014 season? Or will an amateur step into the spotlight and take home the WPT Fallsview Poker Classic trophy? Keep an eye on PokerNews Canada for coverage of all three events and our reports of all the excitement starting at Fallsview Casino tomorrow.